BFTB Exclusive - Bob Brechin Q&A Results- BLOOD FOR THE BARON!!! 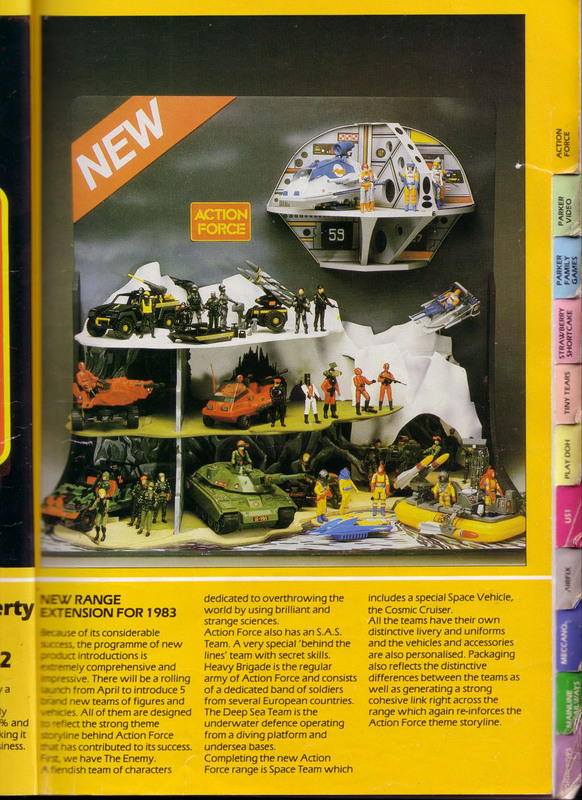 The choice of which characters and vehicles from Hasbro were in the line came mainly from the Brand Manager of Action Force. Design had input on choice and we chose the colour and designed the decoration and decaling. Design Department originated the colour schemes, mainly between me and the modelmaker, who would do the spraying and decoration. I will have to pass on this one – respective Marketing Departments would have been the link. Definitely not. Most of the figures that you guys call prototypes are actually samples of “first shot mouldings” when the moulder tries out the tools and runs a few off in a coloured plastic they have handy. They would be passed over to Design and they were used to test fits and assembly, etc; and maybe some sprayed up for photography. 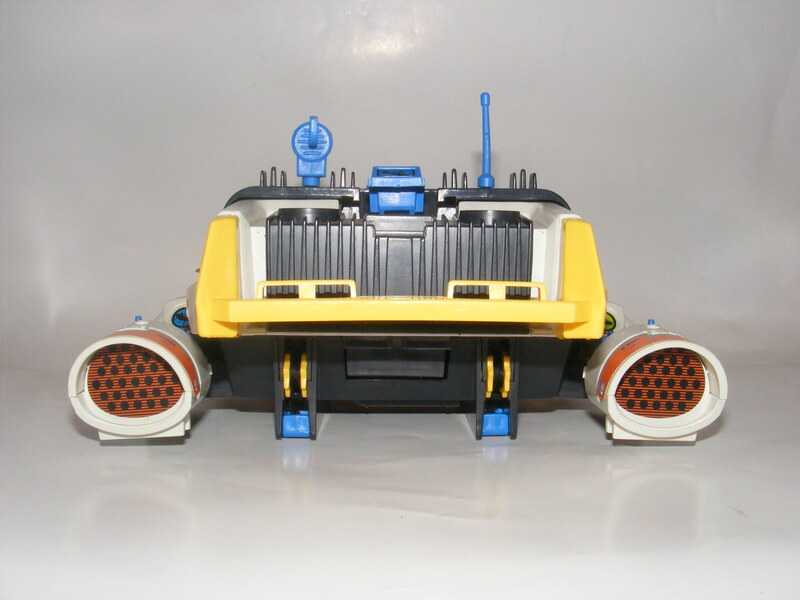 The submarine vehicle with the large pair of claws is not a Palitoy item. I have checked with the Palitoy designer who made the original prototype of Sealion before we passed it to an outside design studio for styling the production item, and he definitely has no knowledge of it. I have a selection of figure prototypes of the Year One figures which are made from moulds taken from the original clay sculptings and these are made of metal or epoxy resin. 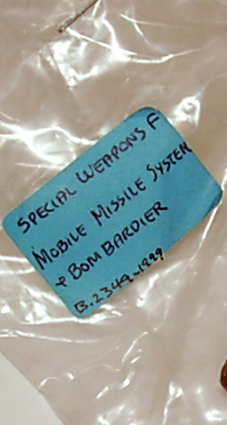 They were used at the Toy Fair in 1982. We did not use any military advisor. As you know the first figures were based on 12” Action Man and we did visit places like the Household Cavalry barracks in London when we did the Ceremonial outfits for Action Man. I studied Russian at school and when we put together the Enemy team I thought it would be cool to use the Russian alphabet for vehicle decals. The use of the letters are completely random. The Brand Manager wrote the bios. 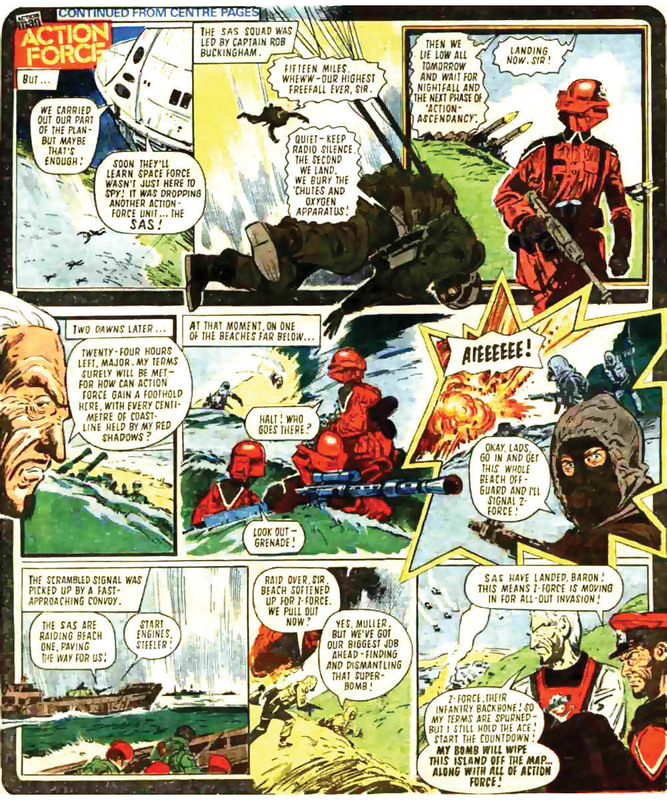 Marketing had all the contact with Battle Action Force. Very doubtful we could have produced an acceptable Harrier economically. Roboskull based on my skull? – that made me laugh. The Action Man gripping hand is based on my hand because I sculpted the hand with my right hand, looking at my left for inspiration. Perhaps that’s where that myth came from. I sculpted the original prototype of the Roboskull in clay with added plastic bits, but it wasn’t based on anything; only I thought the Enemy team needed a fantastic looking vehicle, so I was inspired by the skull and cross bones logo. My first sheet of rough sketch concepts included all sorts of vehicles with a skull theme, but I think I may have been inspired subconsciously by the Star Wars Tie Fighter when I finalized on a flying vehicle. Some people say it is an adaption of the Kenner Tie Fighter but is not, as you can see if you closely compare them. I presented to marketing who immediately wanted us to get the product out as soon as possible so I worked, unusually, directly with engineers and modelmakers concurrently to shortcut the process. During this phase I worked out the finer details, and was inspired by the architecture of Gothic cathedrals when it came to developing the wings. 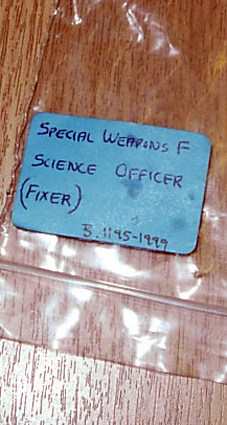 We didn’t have anything in the pipeline before the Design Department closed down in 1984, except some crazy figure prototypes, the SWS Team that may have been considered, and a vehicle for the Space Force that didn’t make 84 range, but I would have liked to have had a go at designing an Enemy HQ based on a similar construction as the AF HQ. I would have expected to include skull-like qualities to that. The AF5 was designed by an outside design agency and developed for tooling in the Design Department. When a new marketing team was in place in 1982, and we were briefed to turn Action Force from the original Action Man inspired range into the 5-Team fantasy concept, we had to adapt existing tooling, as we were not allowed much in the way of investment into new tooling. We ( Marketing and Design ) looked at our vehicles and the Hasbro G I Joe vehicles and decided which ones should go in each team. The AF5 was recoloured and we had a bit of cash to tool some additional components to turn it into the Shadowtrak. 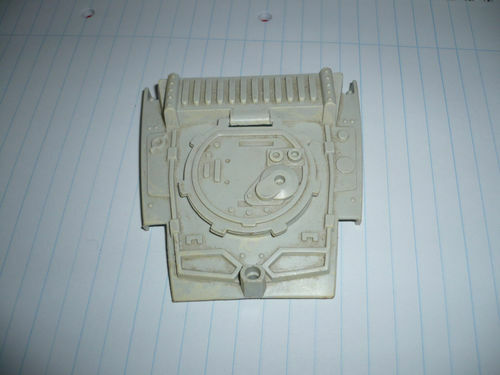 Pass - Tank was a Hasbro design. You are right, Roboskull is my favourite. I also came up with the idea of the Triad. I did some rough sketches of the Craft showing how the wings on the “mothership” could be twisted to form different versions and how the two “pup-craft” could detach from the mothership. I passed my sketches to our modelmaker who constructed the prototype. 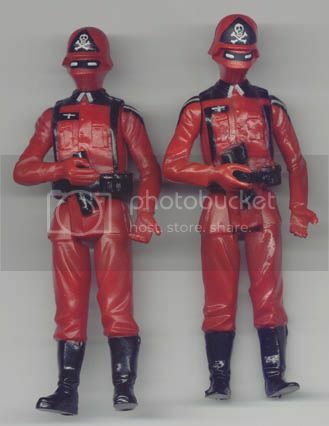 Obviously development would have depended on the range being successful, and I think it was at the stage when Hasbro’s figures replaced the Palitoy straight limbed figures. So firstly I would have liked to see the Enemy base put in the line. The Muton was a bit of compromise based on the old Deep Sea Diver, so dropping him for a better robotic character would have been on the cards. 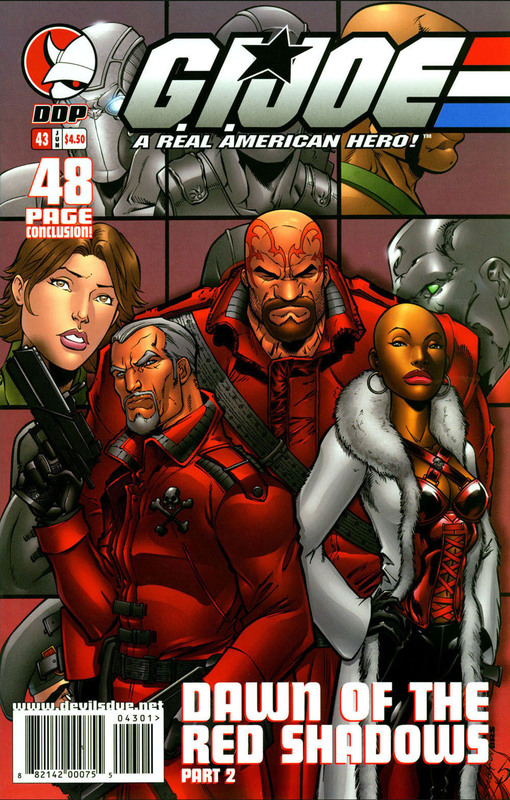 That would have made a good story in the comics – Muton Mk2. We had designed to prototype stage a troop transporter for the Space Force which never got into the 1984 range so we would have seriously looked at that. I think we would have looked at developing the Red Shadows in some way. Finally, I had thoughts of a smaller flying one-man flying craft to complement Roboskull. ( Perhaps someone could put their mind and skills to that ). Doubtful if it was a Kraken skull, although it does look a bit alien. Kraken didn’t enter range until Year 2 of Baron and the logo was already out. Skeletron is not a dead Kraken. It’s a robotic endoskeleton ( a la Terminator ) constructed in a composite carbon based material. 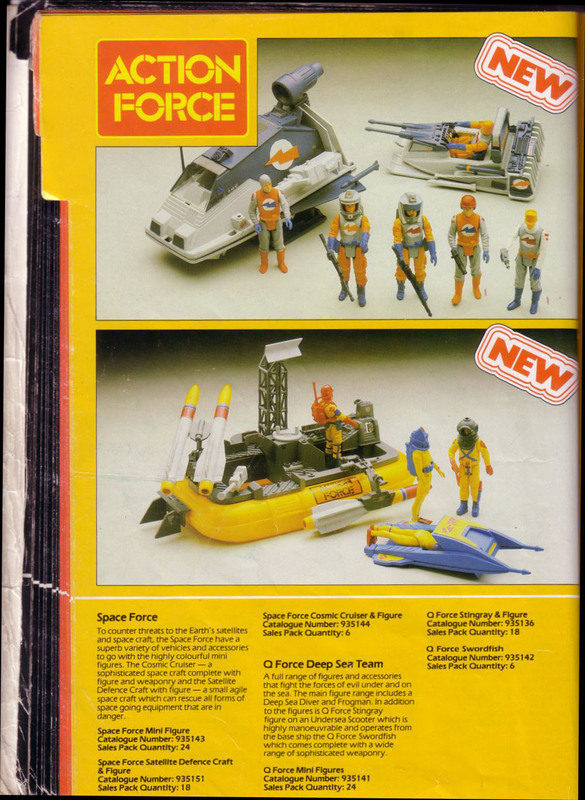 The Space Force “playset” you see in the catalogue is actually part of the display at the Toy Fair. It was a one-off and no records were kept. Q stands for Q in AQUA. It looked better as an insignia than A. There was a Z Special Unit in WW2 and we thought Z was a suitable letter for the team’s logo. Well spotted ! I have asked the designer of the original prototype who says he pinched it from a Star Wars vehicle when he made the prototype. When the external design agency restyled the Sealion they copied this part on the prototype when they made their model. Can’t shed any light on that one. You are probably right in your last sentence. If a new tool had been made the toolmaker may have used a moulding from the first tool, and if so there would have been a shrinkage factor which would mean the second head would be slightly smaller. I produced the Roboskull blueprint for Marketing to use in promotions. 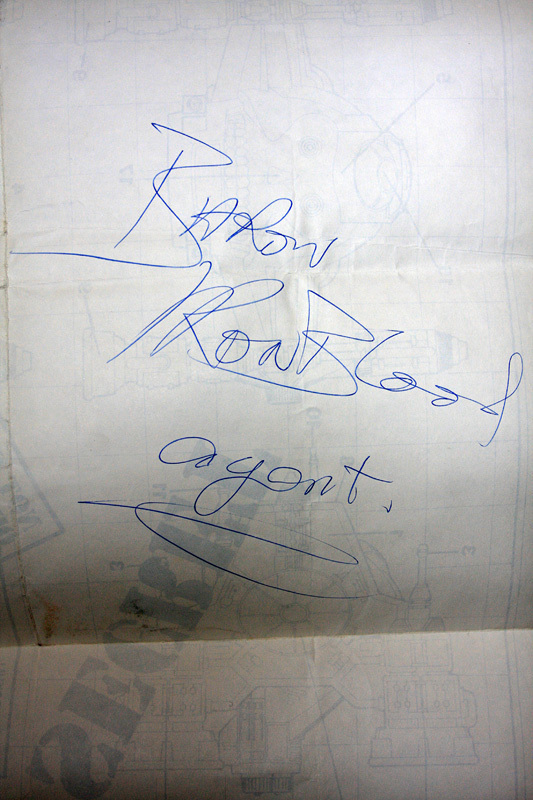 I believe at some promotions they had Baron or Red Shadow characters signing various things. 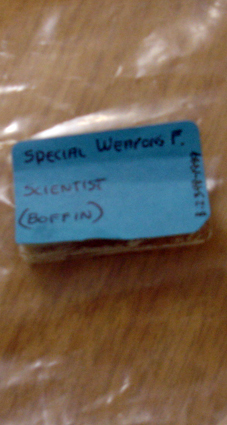 Special Weapons Force was the working name when we developed the team, but SWS was chosen because it looked better as a logo. 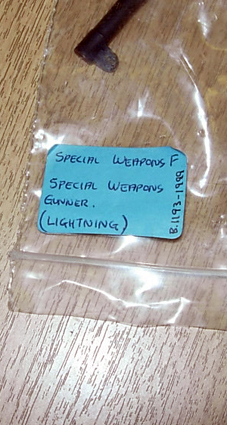 It could be Special Weapons Service, but more likely Special WeaponS. 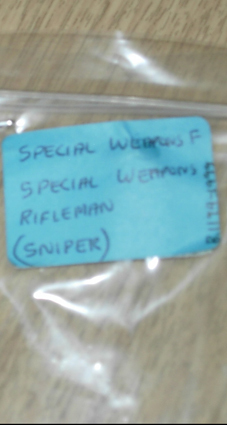 Special Weapons just wasn’t wanted by Marketing to complete the line. See 14. Not aware of that either. I would guess it was from the writer of the comic. 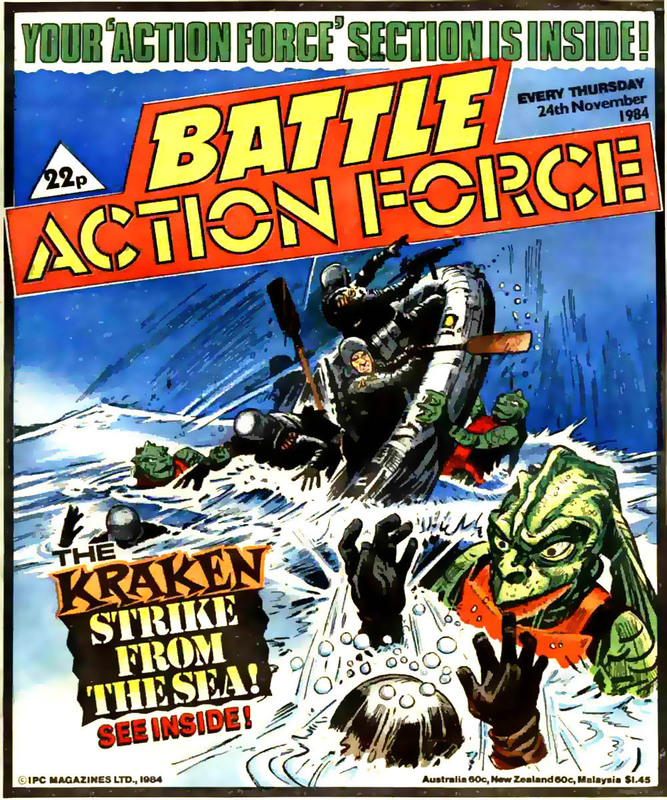 Every week the publisher sent me a copy of Battle Action Force, which I put away and still have somewhere, but I never read them. I was not involved, mainly because I was no longer at Palitoy in 1985. 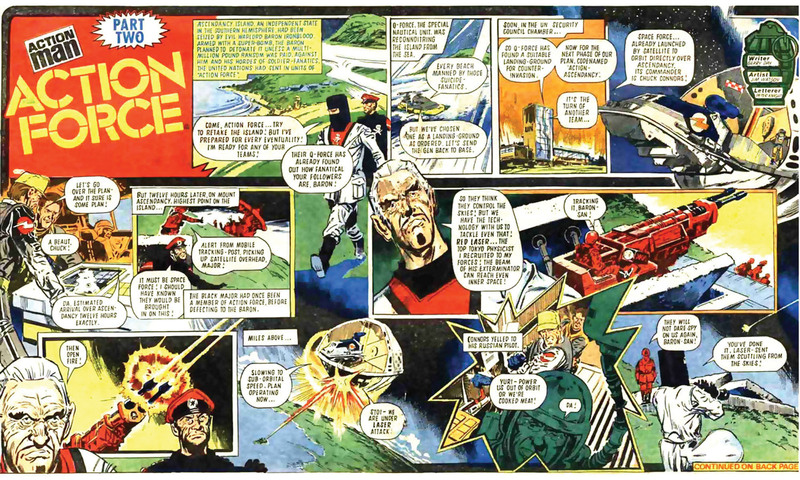 None of the characters have a connection to me, except possibly the Boffin who never appeared in the range, but I would like to think I am inside Red Wolf flying the Roboskull. I will have to pass on this. Jim Marshall kindly showed me his Red Shadows set ( that was very good of you guys ) and I must say I was very impressed, as I was with his Baron. 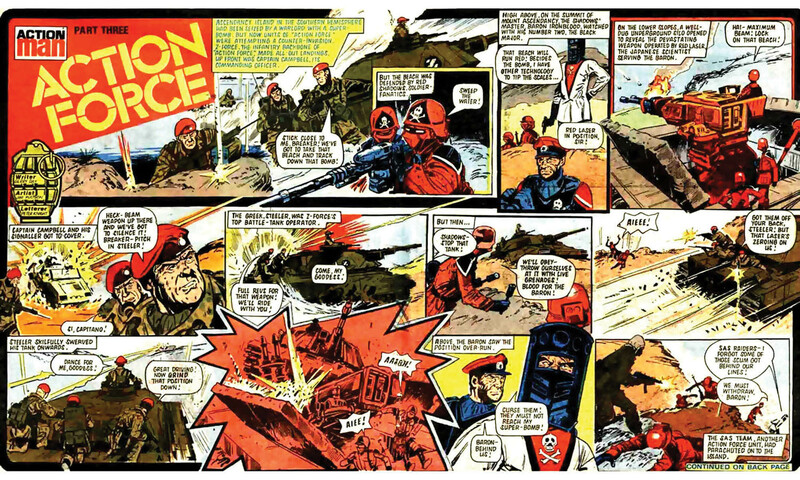 The Palitoy Action Force “Task Force” in 1982 was myself, responsible for day-to-day control of new products reporting to Director of Design Department, and the team included a design engineer who liaised with a production engineer, a tooling manager and his assistant responsible for tooling aids/patterns, a designer responsible for decoration, a designer responsible for accessories and packaging, an design engineer responsible for sonic welding and assembly, an design engineer checking drawings and standards, and a production engineer responsible for work study. I was responsible for commissioning and directing an external sculptor of the figures, and the Design Director commissioned the design of the AF vehicles with the outside design agency. Difficult to answer this one. 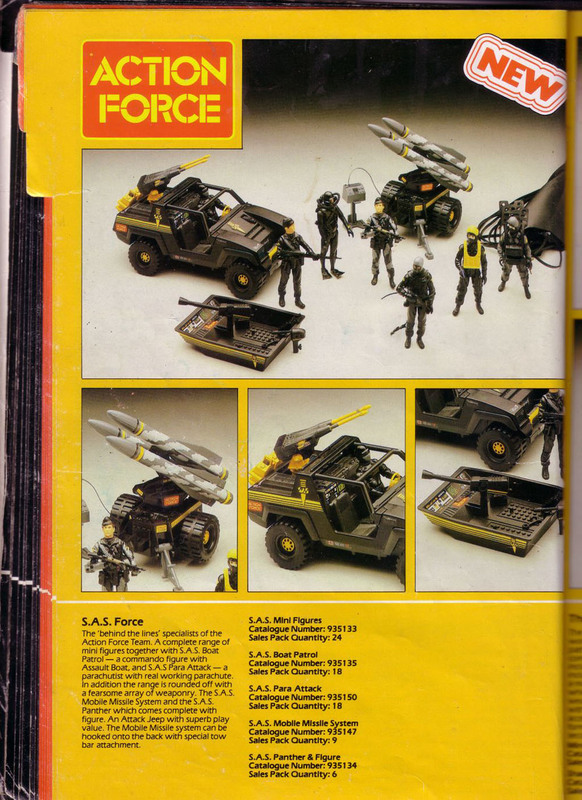 General Mills were cutting costs and decided to close down the Design Department and use Hasbro developed product for Action Force in 1985, keeping a few Palitoy vehicles e.g. Roboskull and Sealion in the range. For me it was a labour of love, especially when the new marketing team wanted to change the concept for 1983 into teams; and we were able to be more creative. I went to work at Spears Games as Design Manager for 6 months, after I worked as a design consultant on Robotix for MB. In 1985 my old managing director from Palitoy was employed by a Dutch company to set up their branch of toy marketing and design in England, so I worked with him and other ex-Palitoy colleagues for a few years before the Dutch got out of toys. Three of us bought the marketing/design part from the Dutch and set up our own toy development company for a few years. That’s a tricky one. I would guess that Hasbro has the copyright to the toys. Wouldn’t mind being involved on some sort of consultancy basis, but I think you guys have all the energy and drive for developing new ideas, as you have shown. 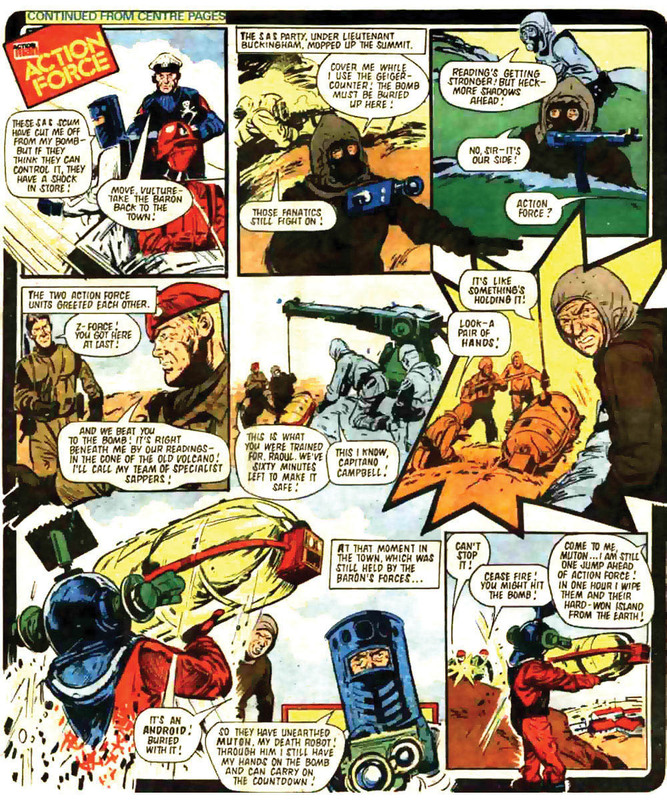 I found BFTB site by googling Action Force one day. 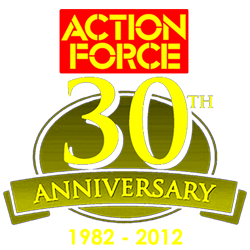 I was pleasantly surprised to find out how much enthusiasm there was still out there for Action Force. No, not really. I did find it difficult moving around the site at first. 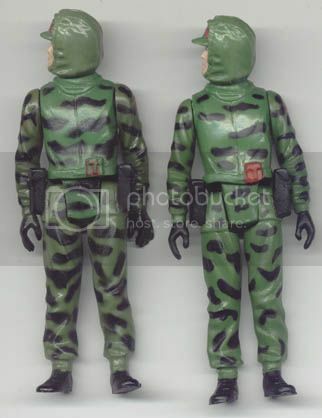 When we produced the Action Man SAS outfit we had to do it in a great hurry. When the first packed outfits came in from Hong Kong the quality control manager alerted us to a problem. When a pack was opened there was a strong smell of strawberries. 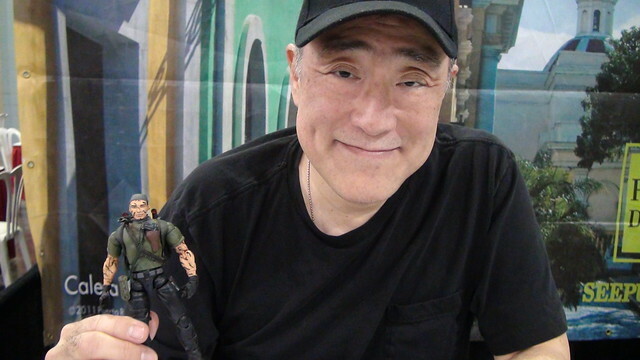 It transpired that the factory in China who moulded the black SAS components was also moulding Strawberry Shortcake toys for us and Kenner. The whole factory smelled of strawberries. Their quality control personnel couldn’t smell it because they had got used to it. So somebody must have put the strawberry essence in the PVC for Action Man without realising it. It was panic stations because marketing wanted to get the product out for Christmas sales. It was solved by one of my colleagues putting the plastic components in the ovens that made the dolls heads. The heat removed the smell. No inspiration really. We had to use existing figure parts to come up with the new range in Year 2 so we chose the German Stormtrooper for the Red Shadow figure and wanted to change it to be more menacing. The modelmaker took a head moulding and modelled the mask on which was then sent to make a new head tool. Of course we then moulded everything in red and the eyes were tampoprinted. [color=#FF0000]058) If Palitoy had of continued the line in which direction would you liked to of taken the figure & vehicle designs..for instance, would you of developed them into being even more fantastical/science fiction like creations? Good question. Can’t remember. I am sure we weren’t eager to get away. 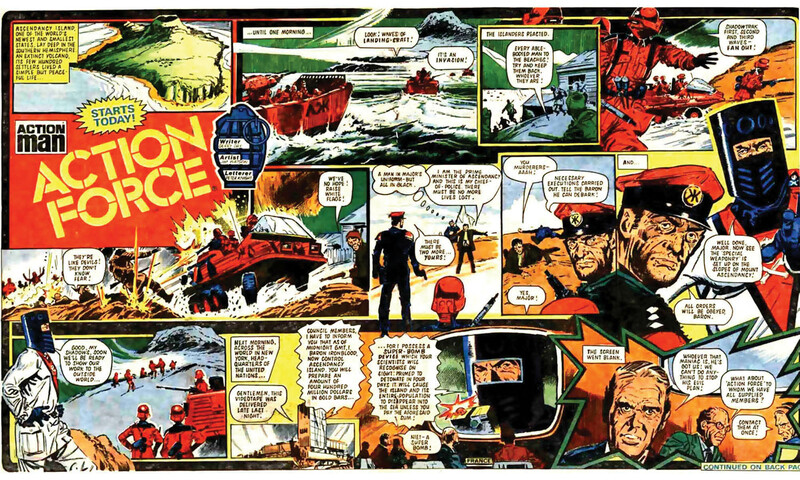 I really like some of the customs and I feel honoured that there are people out there who are excited enough about Action Force to keep the story going. I think I still have the very original prototype of the Roboskull somewhere ( I do have some of the concept sketches for it and for the Triad ); and I have a collection of the prototype resin and metal figures that were used for the display at the Toy Fair in 1982, which were dumped and I managed to salvage them. See 60. 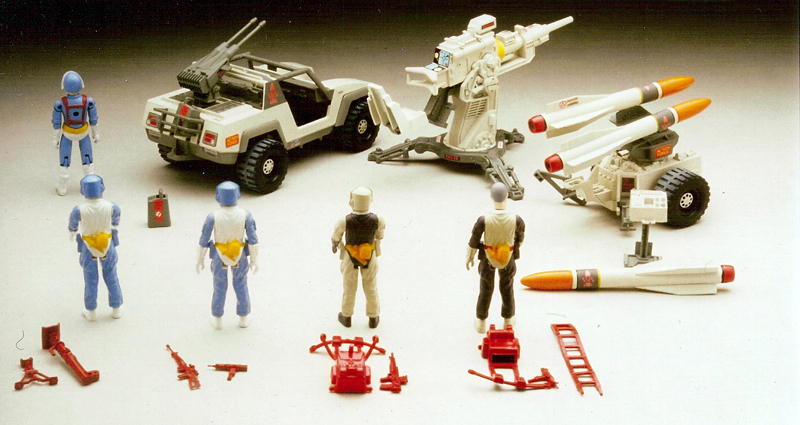 I feel that it was a great toy line and if General Mills hadn’t changed their marketing policy, and Hasbro hadn’t produced G I Joe, it would have developed. But that’s life. When I put Roboskull and Skeletron in front of the New Products Committee and their reaction. No, there was no pressure from General Mills, but there was a need to keep tooling costs down; and having the access to Hasbro’s vehicles was too tempting. I have posted this answer on the VAME site, but briefly I studied product design in Birmingham and was working there when I saw an advert for a toy designer at Palitoy. I started there in 1967 and left in 1984 when the Design Department was closed down. Baron’s head is the same head as the Officer from Year 1 which was moulded to look like Action Man. 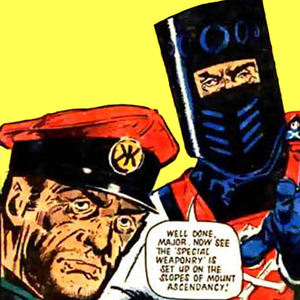 You are correct; Ned Kelley was an inspiration, as were medieval knights. It was considered as a non-removeable helmet and after a lot of discussion with Marketing we went with a separate helmet. We probably did, but being part of same toy group it wasn’t a problem. 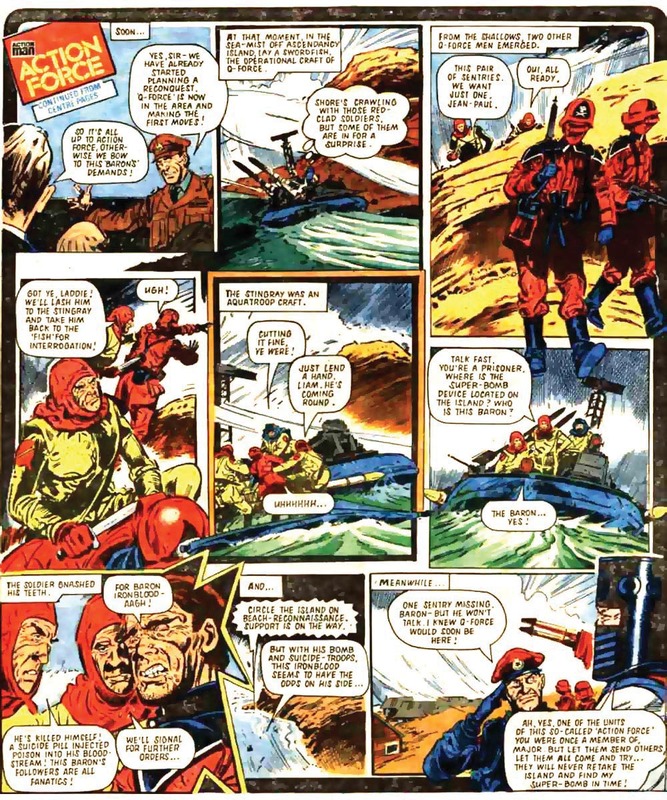 For Action Force we used three outside design sources. 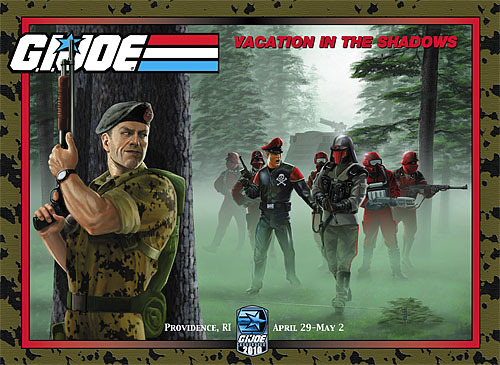 A sculptor for the figures, a toy design company for the three original AF vehicles, and the Sealion in Year 3 , and an artist ( who produced the packaging artwork ) to produce the artwork for the HQ. The majority of the concept work and modelmaking was done inhouse. We did in Year 1. 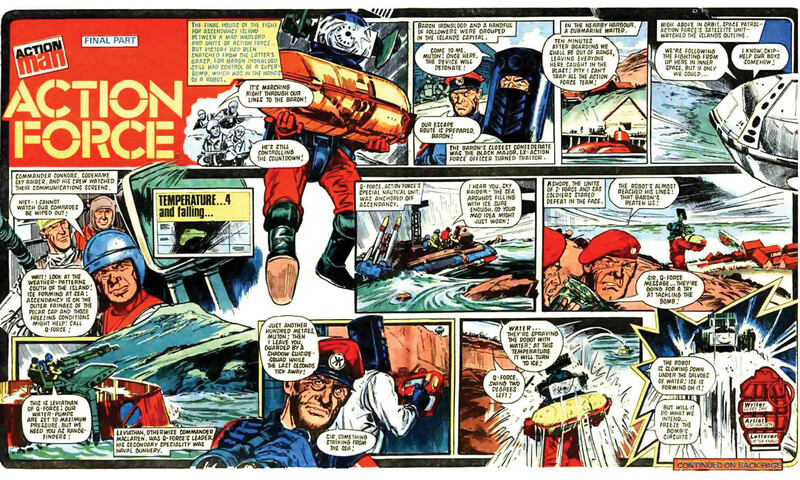 But when we conceived Baron and the teams we wouldn’t have gone back to Action Man for inspiration. I produced design concepts in sketch form and then briefed a sculptor to make actual size models. He made moulds from which castings were made for samples and also for tooling aids to send to toolmaker. I will have to pass on this at this stage. Of course we did. But it was a challenge. For Year 3 were able to be more creative. No not really. 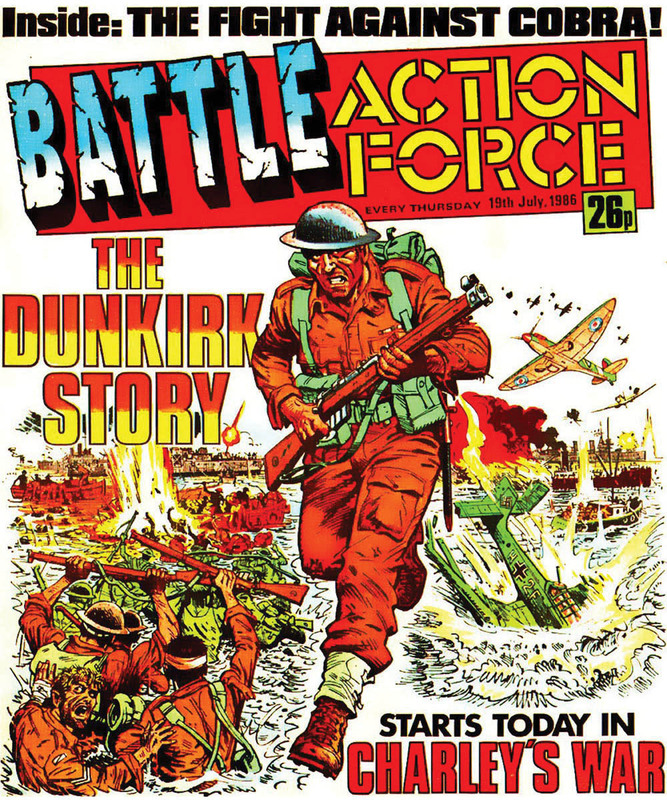 We thought we were on to a good thing having seen success of Star Wars; and in first year the Action Man logo ensured public acceptance as a lot of toys at the time were supported by characterisation. No, in 1984 the Design Department was closed down and Marketing had a ready source of vehicles and figures to call on from Hasbro. 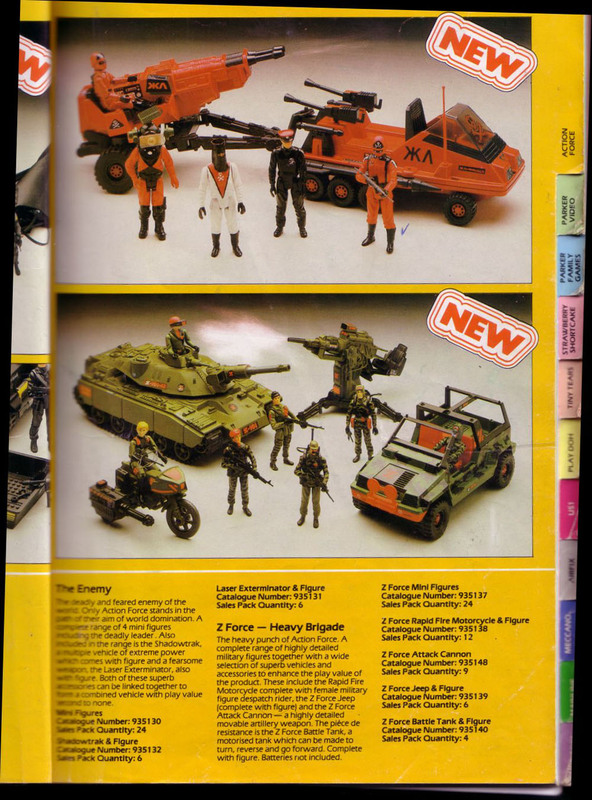 There was a very close relationship between Palitoy and Hasbro whilst 12” G I Joe was being produced in the States. When Joe was discontinued we somehow didn’t have the same relationship. That is why we both were working on 3 ¾” ranges in 1981 without knowing it. Yes, they did. I had a complete set on carded figures which I gave to my son who sold them on to an American collector. I believe I still have some preproduction samples in polybags that came over before the carded samples. I do have a set of photos that were sent over of their initial range. When Airfix was bought by General Mills four of its designers came to Coalville in our department to continue their work. 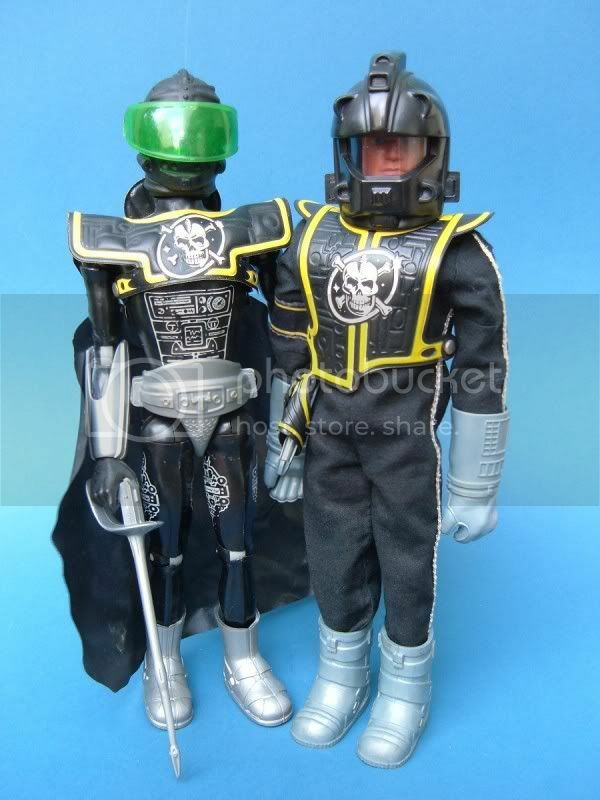 It has to be the Roboskull, but I am proud of the Action Man Ceremonials. It was after I left the company and trying to develop a new career. I had no feelings really because it wasn’t the Action Force we had created. 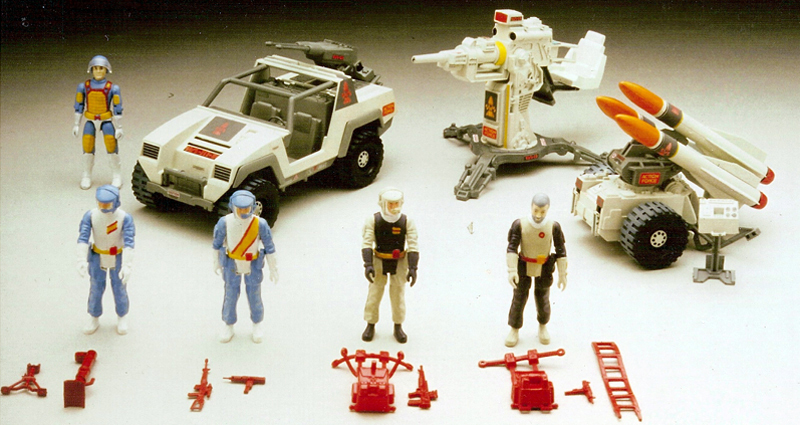 I was chuffed they had included Roboskull and Triad in 1985 so I was a bit sad when they dropped those. Pass – you will have to get some legal advice on that one. You might well be right. 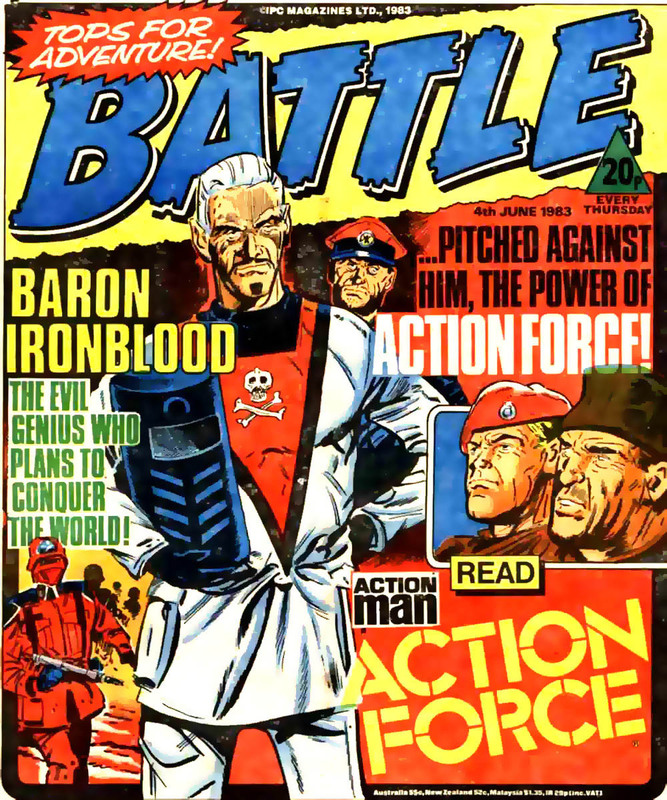 The Action Force Brand Manager briefed the comic people. No research. It was all conceived by me, the Brand Manager, and the designers/modelmaker. Those figures changed for cost reasons. 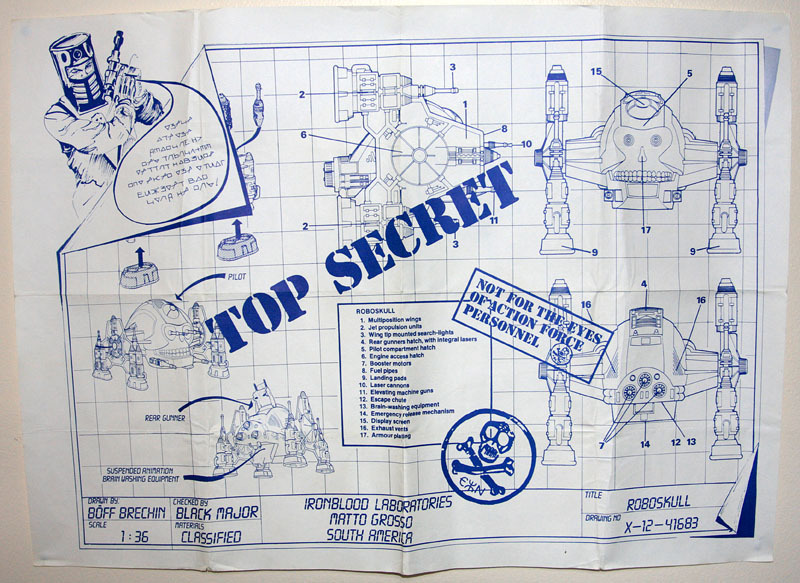 They would have had toys if they were in production but in the early days they would have got the details off the character file cards, written by the Brand Manager based upon our info, and photos of prototypes; and if they were unavailable drawings. Nothing came through to Design via Brand manager. Market research was within the Brand Manager’s remit, but I never had any conversations with him or was asked to provide samples. We in Design would come up with the concepts and ideas and present them to the New Products Committee, comprising Directors of Design, Marketing and Sales plus the Brand Manager for Action Force, but when it came down to it Marketing would have the final say because they knew the market. I remember we did have one good idea for a Space Force Troop Transporter than didn’t make it in 1984.